So, I live in a beach town and where do all the Pesarese go on vacation? To the beach. If not here in Pesaro, then a beach in Cuba, Egypt, Greece or Sardinia. 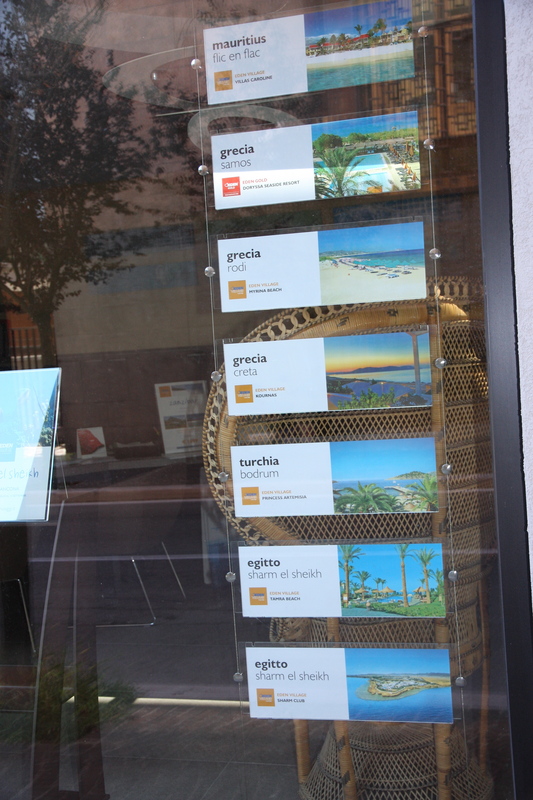 I walked by a travel agency this morning—Eden Viaggi—and all the advertisements in the window were for beach vacations and all the pictures looked the same. Maybe it’s because I was never one of those people who enjoyed going on a vacation just to sunbathe (I get bored too quickly! ), but I find it interesting that even people who live at the beach year-round want to escape their beach town for another. I suppose it’s the lure of the vacation and experiencing the sun, the sand and the surf of another place. 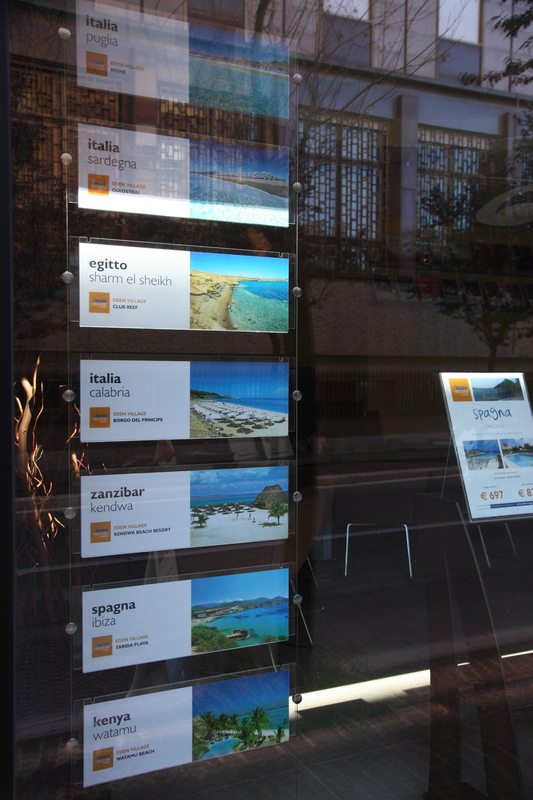 Or, perhaps the Pesarese are just true beach connoisseurs and know the best spiaggia spots around the world. This entry was posted in Italians, travel and tagged beach, Pesaro, spiaggia, travel, vacation. Bookmark the permalink.